Pediatrician Dr. Lisa Stern of Tenth Street Pediatrics, gives some great reasons to help your teen become a safe driver. 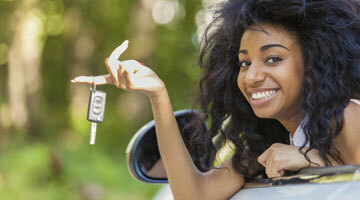 The dreaded teen driver: Do you actually want your teen to learn to drive? I say, absolutely, you do. Driving is a rite of passage. It's freedom. It is so important for people to learn to drive a car. Unless you live in a city with public transportation, your teen is going to need to get around and not have you chauffering them for the rest of their lives. Your teen should take the initiative on taking the learners permit test. I think it is important not to discourage driving, and even sometimes to nudge your child in that direction because, when your child learns to drive as a teenager, they are still learning to drive under your roof. You have control of the car and the hours that they are driving. If you look at data on teen drivers who have graduated licenses, they are actually safer and the data looks better, than people who start driving after 18.